Everyone bodybuilder and fitness freak craves for that powerful and strong upper body which displays the perfectly chiseled chest muscles. Chest muscles are one of the most important muscles of our upper body which help in building strength, endurance, flexibility and power. These muscles need regular workout with specific strength building exercises so that they offer optimum performance. Including some important chest muscles strengthening and power exercises are of utmost importance as they help in achieving the perfect toned upper body. This exercise is best suited for the lower muscles of the chest. They help in toning and building the muscles, helping to add power and strength. To do the workout, you need to start by lying down comfortably on an inclined bench. Your shins shall be just below the leg support. 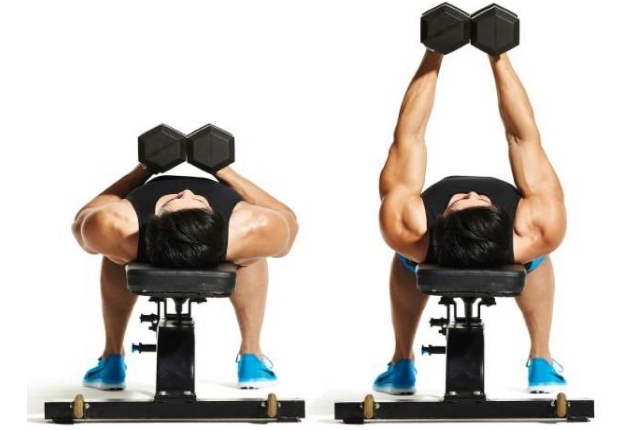 You will hold a pair of dumbbells in the hands which should be just above the chest muscles. Keep your arms straight in this position. You need to ensure that your palms are facing the feet. The weights you carry should be beyond the shoulders. Now, slowly lower these dumbbells towards the chest. You need to pause a bit and then you can easily press these up and get back to the start position. Repeat at least 6-8 times when you start. This is a simple and quick exercise which can be done by beginners too. Bench presses have always been thought to be quite effective in building powerful chest muscles. Start the workout, as you comfortably lie on your back. 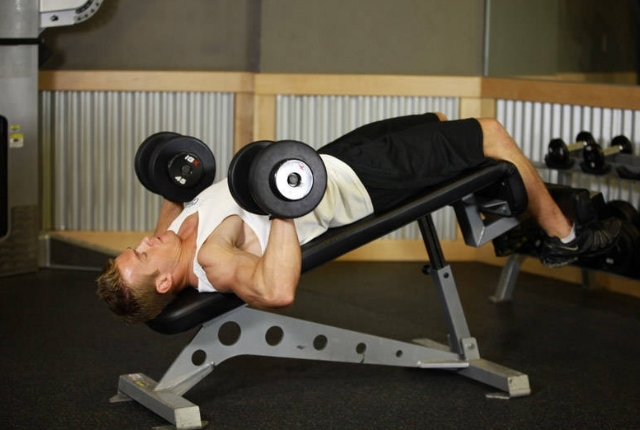 You need to lie down on the bench and hold on to two dumbbells at your chest level. This should be just along the body. Your palms shall face one another. Now, you will slowly raise your dumbbells straight and bring them up. Your elbows should be almost locked. You need to lower them in this position and wait for sometime. Slowly breathe out as you raise the dumbbells. You can again breathe in as you lower them back. You need to do this workout at least 6-8 times when you are starting. This is another effective exercise which helps bodybuilders in strengthening muscles and adding endurance to their routine. Start the workout as you lie down comfortably on your back. 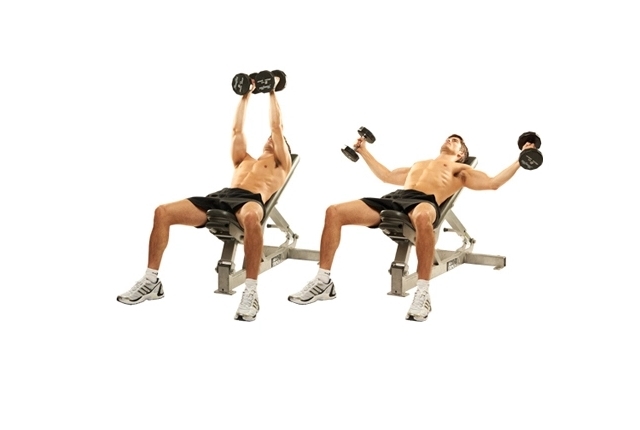 You will be on a bench in a comfortable position, as you slowly grab a dumbbell in a hand. This shall be at your body height. Your elbows will be a bit arched in this position. Now, slowly, you will raise the dumbbells, till you find them side by side and just on top of you. You can again slowly lower them back, after a brief pause. You can easily maintain a good angle with the help of your elbows all the while. You need to do this workout 8-10 times as you start. However, never exert too much as you might hurt your core in such a position. 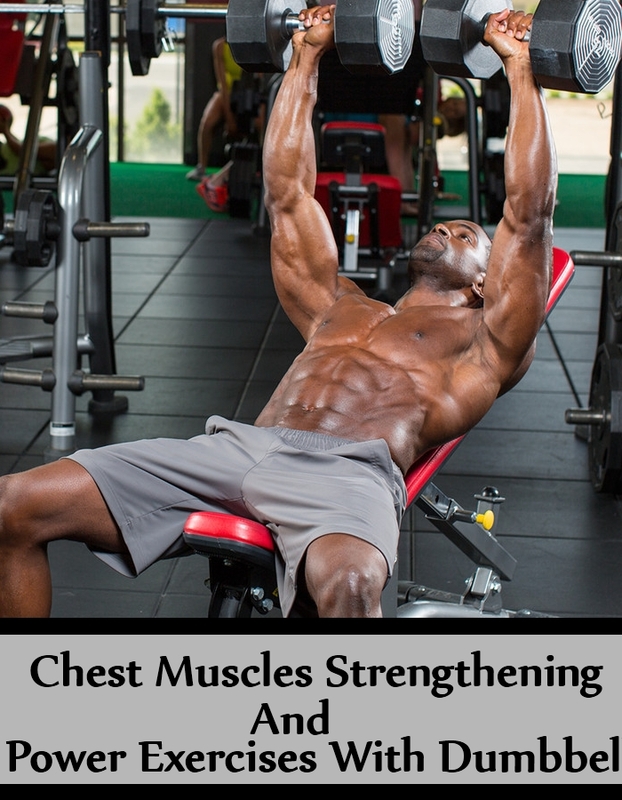 This is an easy chest workout which actually shifts the stress to the pectorals. This workout helps in keeping the muscles engaged all the while, which helps in maximizing their strength. To start, you will lie on a bench. You need a pair of dumbbells and hold them just above the chest. Your arms shall be completely straight in this position. Your palms shall face one another. Alow the weights to touch one another and you can squeeze them as much as you can. You need to maintain this squeeze all the while and as much as you can. You also need to ensure that these dumbbells are in good touch with each other. 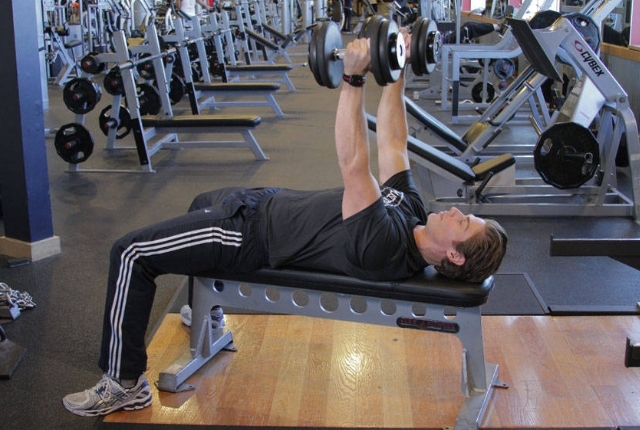 You can again lower these weights by the sides of the chest. You can again push these up and get back to the start position. Repeat 10-12 times. 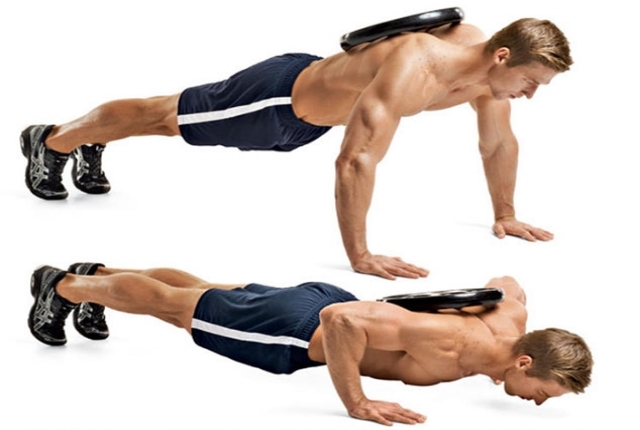 This exercise is an effective combination of pushup and chest squeezes. This squeezing action helps in building a stimulus, which helps to fire up all the muscle fibers in the chest. To do this workout, you will be placing at least two dumbbells just next to one another. They should be touching each other and the handles need to be parallel. You will need a regular pushup position as you slowly grab a dumbbell handle with a hand. You need to have your arms straight in this position. Your body shall form a straight line from the ankles to the head. Stay in this position for a few seconds and get back to the start position. You need to repeat this workout at least 6-8 times as you start.